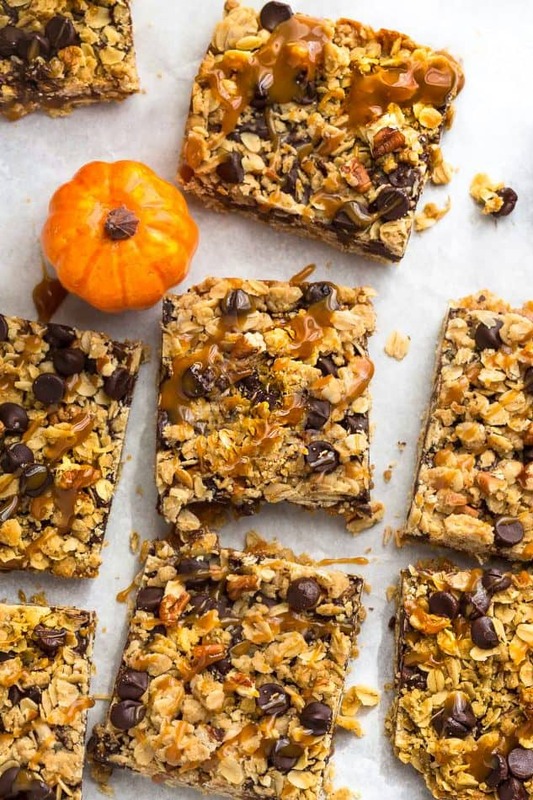 Pumpkin Oatmeal Caramel Squares are the perfect treat for the fall. They’re easy to make with simple to find ingredients like oatmeal, pumpkin, caramel, chocolate and pecans. Oatmeal bars made with pumpkin, caramel, chocolate and pecans make a tempting and irresistible treat for fall. Preheat oven to 350°F. Line an 8 x 8-inch baking dish with parchment paper or tin foil, leaving an overhang. Spray foil with nonstick cooking spray. To make the pumpkin caramel filling - In a small saucepan set over low heat, cook the caramel with heavy cream until completely smooth, stirring often. Whisk in pumpkin puree and pumpkin pie spice. Set aside. 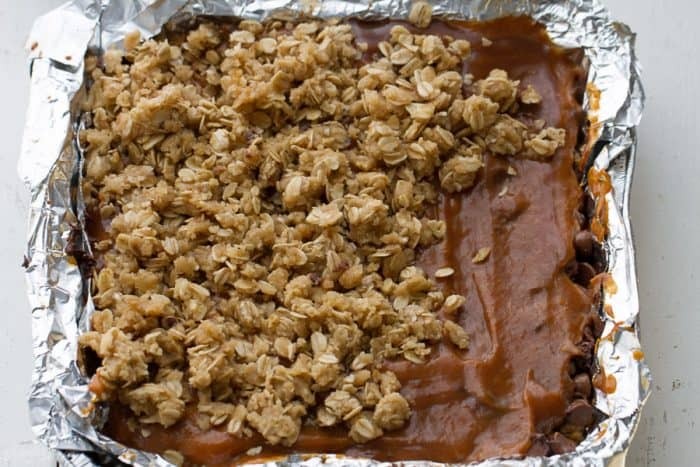 To make the carmelita bars - In a large mixing bowl, whisk brown sugar and melted butter together. Add the flour, oats, baking soda, pumpkin pie spice, and salt and mix until crumbly. Press a little bit more than half of the mixture on the bottom of the prepared pan. Bake in preheated oven for 10 minutes. Remove from oven and sprinkle with chocolate chips and chopped pecans over the crust. Pour the pumpkin caramel in the pan, spreading evenly. Return to oven and bake for an additional 15-19 minutes, or until the edges are lightly brown. Remove from the oven and allow them to cool completely so the pumpkin caramel sets up. You can place them in the fridge to speed up the process. 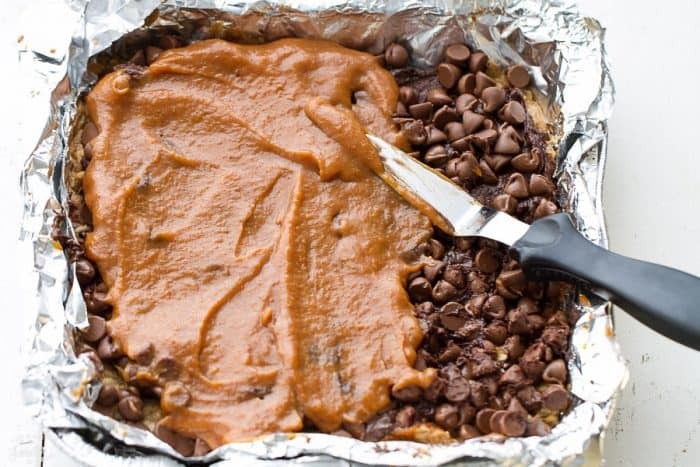 Once cool, cut into squares and drizzle with additional caramel if desired.